Castles are an essential part to any fairy tale and must see for any traveler to Europe. Full of history, beautiful architecture, and just a touch of whimsy, these castles are sure to make you book your next vacation to see them. Here are 5 European castles for history buffs. Located in the town of the same name, this castle is an iconic landmark in Scotland. Perched high up on Castle Rock, this royal castle was constructed in the 12th century. During its existence, it witnessed 26 sieges and some of the most important events in history- from the death of Marie of Guise to the birth of James I of England and VI of Scotland. Visitors here can see the crown jewels of Scotland used in the coronation of Mary Queen of Scots, as well as the Stone of Destiny, and ancient symbol of Scottish kingship. 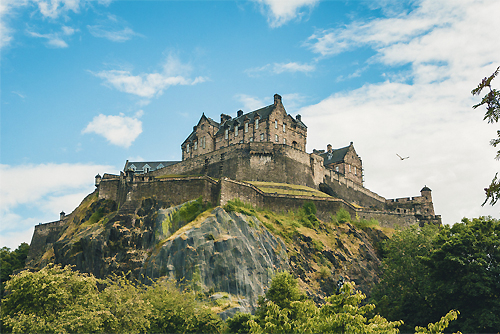 Edinburgh is so steeped in Scottish history that it should be at the top of every bucket list of European castles. 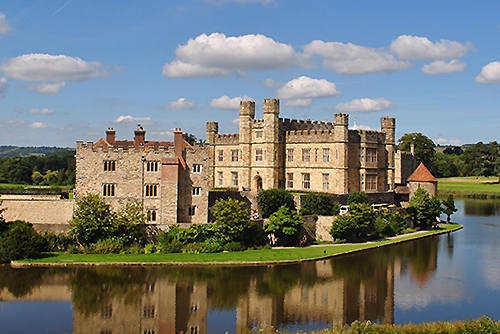 Another one of European castles is this fairy tale construction, Leeds Castle, located in Kent, England. It was first a Norman stronghold built in stone in 1119. Not much is left to see from the Normans, only the window in the banquet hall and the cellar. 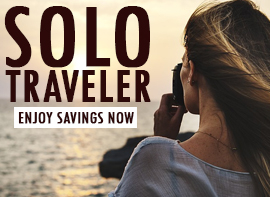 Related: Click To Start Planning Your Dream Trip To Europe! It was also home to six Queens of England and is decorated in some areas with Henry VIII’s and Catherine of Aragon’s symbols. It became a hospital for burn victims and those after the battle of Dunkirk in World War II. 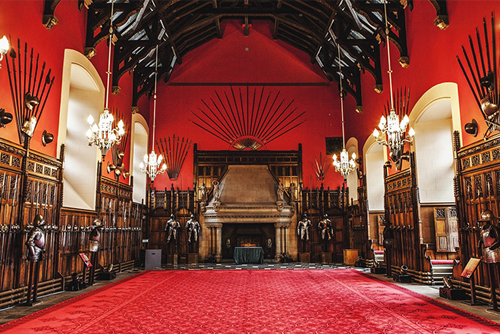 Used by many royals and owned privately, each one has left their mark on the castle. Any visitor can explore the history and walk through time at this fairy tale castle. France is famous for its many European castles, but this one was declared a UNESCO World Heritage Site in 1997, it is the heart of the city of Carcassonne, France. The Gallo-Romans constructed a wall around the city, but it didn’t keep out invasions of the Visigoths, Moors, and then the Franks. 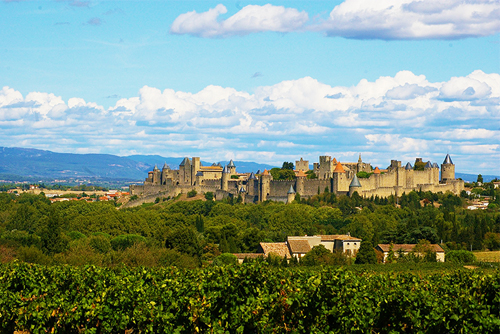 By the 12th century it was controlled by the counts of Carcassonne. However, by the time of the Albigensian Crusade in 1209, Carcassonne found itself on the losing side and it came under control of royal authority. Visitors to this place can see the oldest fully intact fortified walls around the complex, the Count’s castle, 4 gates, and 52 towers. It is truly a marvel of military fortifications and a large enough that it dominates the French countryside. 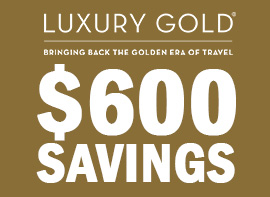 Related: Here Are The Best Deals On Europe Cruises! 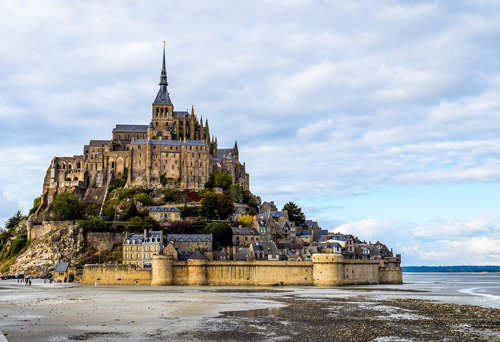 Sitting on its own island along the coast of Normandy, France, on top of a hill, Mont Saint Michel is one of the most whimsical-looking castles in the world. It was a fortified religious site built by the famous Dukes of Normandy and then French kings. In 966, a Benedictine Abbey was constructed within the walls, and it became a place of learning and attracted some of the major thinkers in Europe at the time. Narrow streets wound up the route to the abbey, with buildings being added throughout the middle ages. These have been converted into museums, hotels, restaurants, and shops for visitors to explore and visit. At the top, see the incredible architecture and some of the best panoramic views of the French coast. Italy has long been a place of warring families and city states, especially between Genoa and Pisa. 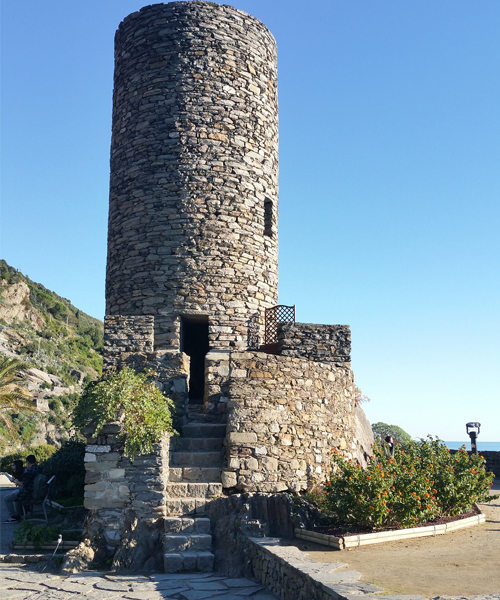 Around 1161, the Genoese, a maritime city with lots of power in the region, built Doria Castle along the coast of Portovenere as a defense against Pisa. By the time of Napoleon, it was used as a prison for his political opponents. 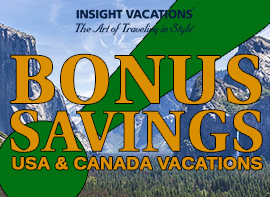 Related: Amazing Air-Inclusive Offers To Destinations Worldwide! Over the years, the castle has been part of major restorations due to many years of war. Anyone braving the steep climb through narrow, medieval alley-ways will find panoramic views of the Gulf of Poets and the seaside village. History buffs will love the historic architecture with a truly romantic feel overlooking the sea. Wherever you decide to go in Europe, there are many castles to see and visit, full of history and culture. Edinburgh, Leeds, Carcassonne, Mont Saint Michel and Doria are all castles that will give any visitor a truly magical experience. Book your trip and visit these European castles that are an inspiration to any history buff.